Search Engine Optimization is the name of the game when getting the most from your website, after all if you aren’t at the top of the Google rankings – you’ll be losing out business. But how do you get there? And more importantly what should you do to stay there? In part it it’s all about onsite SEO. It’s become easy for lazy marketers to spend months creating heaps of keyword optimized content that says absolutely nothing in a hundred different ways. This may get you to the top of Google, but it won’t persuade anyone to actually read what you’ve written. First and foremost write for your audience, a little less keyword stuffing and more content will mean that visitors stick around to appreciate your insights – rather than switching straight off. Do you know the difference between long-tail and short-tail keywords? If not, you should – because the competition for short-tail (quick phrases) keywords is fierce and it may take a long, long time (if ever) for you to make an impact on something like “builder’s merchants”. You shouldn’t face such an uphill struggle if you make your keywords long-tail and thus more relevant to your business “builder’s merchants in Des Moines” for example. 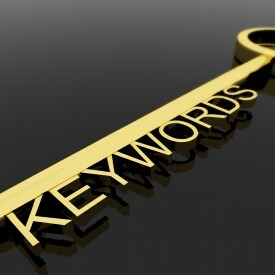 You can research keywords using the Google Adwords tool – specifically designed for that purpose. It’s not enough just to have some keywords and use them occasionally – you have to use them in the right way; in your actual text they should appear in your title, in the first paragraph of your copy and at a density of around 1-3% to achieve maximum onsite SEO benefit throughout the rest of the article. But that’s not all, your keywords also need to appear in your meta data – which the users can’t see but the search engines can. The Internet offers a wonderful medium for visuals, and you should (in keeping with our first point, about writing for readers) keep your articles interesting by including photos and images wherever they add value. Better still there’s an extra HTML tag for images, known as alt text (its purpose is to show text when the user puts their mouse cursor over the picture) the benefit to your onsite SEO strategy is that search engines love it – and it’s OK to keyword stuff like crazy in this space, because it won’t annoy your readers. Images offer you this neat onsite SEO technique. One of things search engines look for is how easy it is to find your content within your own website, make links between each new piece of content you create and something that’s been posted before. Better still – make these links using your keywords as anchor text, and you can get twice the Google love for the same effort. Don’t forget onsite SEO in your marketing efforts, it’s important, relatively easy to do and creates benefits with search engines that you might otherwise have to pay for (in real money) in other online marketing activities.